« App Review: Truss Me! 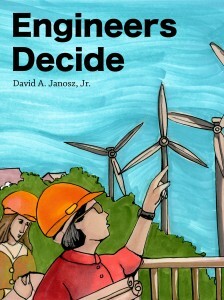 Written by David Janosz Jr., ‘Engineers Decide’ was designed to inspire and educate future engineers and children who have a curiosity about the engineered items they encounter everyday. The first of its kind, the book tackles subject matter that has, to date, never been published in an interactive electronic format. It is built with interactive multimedia and multi-touch tools available through iBooks Author and is exclusively “Made for iBooks,” Apple’s leading eBook platform. Frederick, MD – In 2008, author and educator David Janosz began to search for picture books to read to his oldest son, and noticed a discrepancy in the works available. “I noticed that there were a large number of books available about people working in a limited few professions like fire fighters, artists, athletes and celebrities, rather than books about more prevalent occupations,” Janosz says. Further, the author could find no books related to engineering, one of the world’s most popular professions. 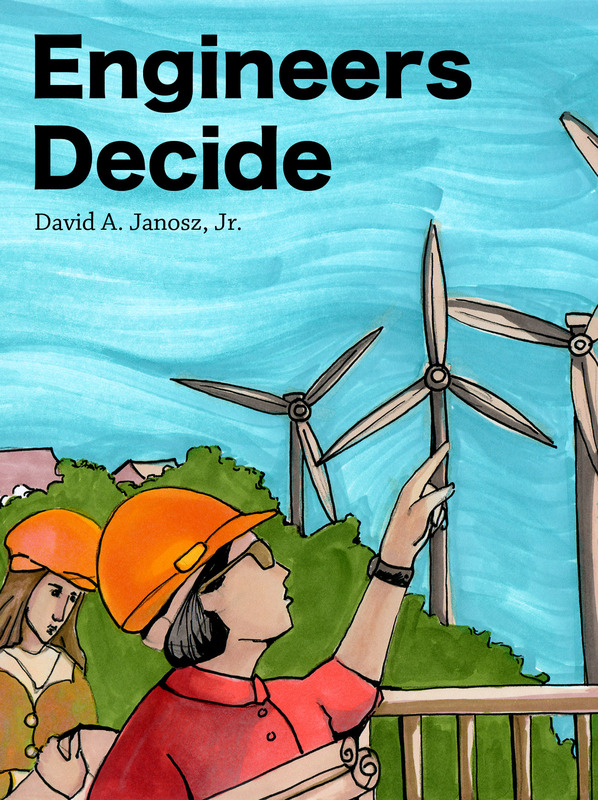 With the release of ‘Engineers Decide’, an interactive iBook available for free through March 31, 2014 in 51 countries supported by iBooks, Janosz hopes to fill the gap in the market. Ideal for parents or teachers with children ages five through ten, ‘Engineers Decide’ explains that engineering isn’t about “things” but about individuals, inspired to bring forth the discoveries that will change our world. By instilling the joy of designing the future – whether as part of a team or working solo – ‘Engineers Decide’ ignites children’s curiosity to the wonders of applying their imagination to meet fresh challenges. Janosz employed his own decades of experience as an educator while creating the book. ‘Engineers Decide’ is available now and can be downloaded from the iBooks Store on an iPad or OSX Mavericks. The iBook is free through March 31, 2014 in 51 countries supported by iBooks. David A. Janosz, Jr. is an educator with eighteen years experience designing and delivering STEM education programs nationally and internationally with a focus on technology and engineering topics. He resides in Maywood, NJ, is married and a father of three young children. Diana Chelaru provided original artwork to serve as the primary illustrations for Engineers Decide. Ms. Chelaru is an artist from Nyack, NY. Teach Ingenuity Concepts LLC is a small business that focuses on publishing and consulting related to technology and engineering education and STEM for grade levels Pre-K through twelve.